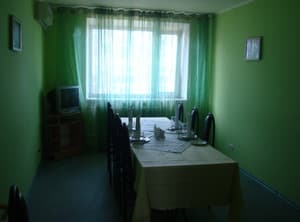 Hotel "Podillya" is located in the central part of the city. Bershad. The hotel offers cozy rooms of Standard and Junior Suite category. Each room is equipped with a bed, table, TV and fridge. Junior suites are equipped with air conditioning and telephones. 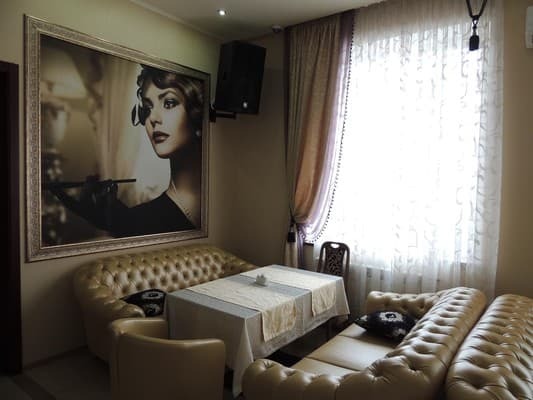 The hotel offers a sauna, billiard room, massage room, hairdresser and laundry. 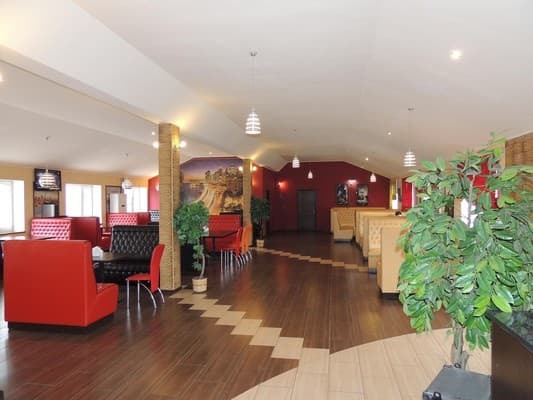 On the territory of the hotel "Podolia" there is a restaurant "Mandarin" for 180 seats and a cafe "Lotos", where you can order meals on the menu. For lovers of outdoor activities it is possible to organize excursions to the arboretum "Sofiyivka" in the city of Uman. 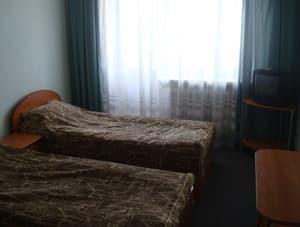 Distance from the hotel "Podillya" to the bus station - 300 m, to the city Vinnytsia - 149 km, to the city Uman is 70 km away. Description of the room: One-room cozy room. The room is equipped with a bed and bedside tables. Description of the room: One-room double room. The room is equipped with two separate beds, bedside tables and a table. 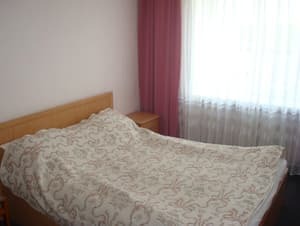 Description of the room: Two-room cozy room. The room is equipped with a large bed, bedside tables and armchairs. Среднестатистический отель. Как для районного центра ожидать чего-то большего было бы наивно. Вполне сносно можно переночевать 1-2 ночи. Если Вы устали в дороге, то помните что тихое место поужинать в пятницу и субботу в этом отеле- это исключительно Ваш номер. В ресторане в эти дни шумные застолья с танцполом. За 3 суток ресторан не зміг обслужити нас, бо дуже зайняті були (готувались до бенкету). Персонал ще застряв в СРСР. Possibility to provide additional places to be specified on an individual basis. 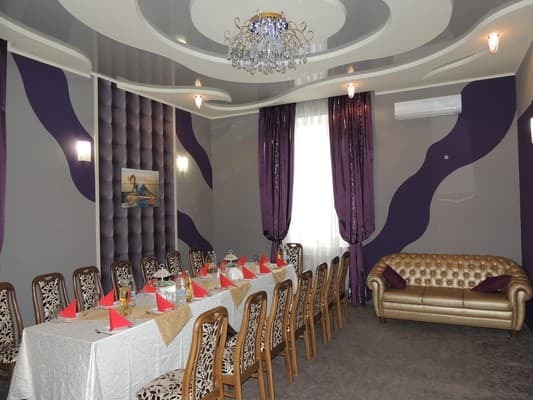 On the territory of the hotel "Podolia" there is a restaurant "Mandarin" for 180 seats and a cafe "Lotos", where you can order meals on the menu. 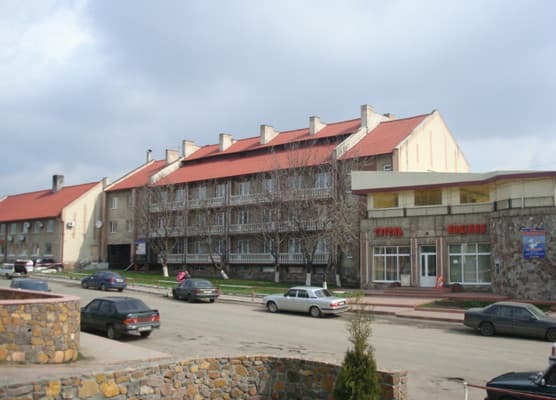 Hotel Podolia is located in the central part of Bershad. The distance to the bus station is 300 m, to Vinnytsia - 149 km, to Uman - 70 km. 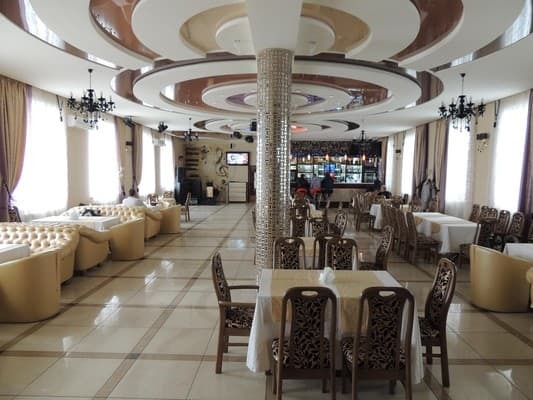 By car: from the hotel "Podillya" to the city of Uman it is possible to get on the route T0202.